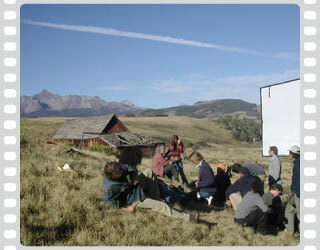 Here you'll find a list of experienced film professionals who live and work in the Telluride region. 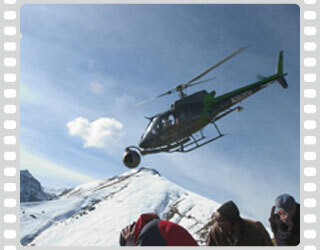 Please contact them directly if you're interested in hiring them for your Telluride production. Services: Location Scouting, Location Management, Assistant Directing, Casting, Unit Production Management, Production Coordinator, Production Assistants, Props, Permitting, etc. 20+ years of experience. Credits: The Hateful Eight, The Lucky Ones, The Prestige, School Ties, Unsolved Mysteries, Volkswagen, Eddie Bauer, The Territory Ahead, Men's Journal, H3 Hummer, Toyota, JC Penny's, Victoria's Secret, Busch, Budweiser, Coors, Chevy Avalanche, Visa, Pepsi, Lays, and many more. TV, Documentaries, Sports Event Coverage. All HD Formats Available. Credits: Scott Ransom was recently nominated for a British Academy Award (Camera) for his work on Endurance Shackleton and the Antarctic. 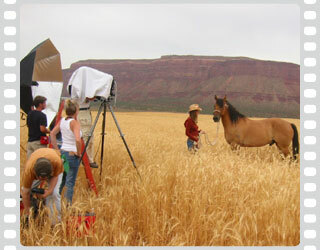 Scott has photographed National Geographic Specials, Discovery Channel, Animal Planet, Nature, 60 Minutes, Dateline, and numerous TV shows and events. His feature second unit assignments include Mr. and Mrs. Smith, Going Upriver, Kilimanjaro, Batman and Robin, On Deadly Ground, All The Right Moves, Bushwhacked, Power Rangers II, The Ascent, The Golden Seal, and Strange Companions. Services: Location Sound, AC, Cameraman for film and video, experienced in live feeds, broadcast television, independent films and documentaries. Part 107 FAA Certified Drone Pilot. Credits: Stash Wislocki has been working in film and television for two decades. His credits include HBO, NBC, CNN, Giraffe Partners, Warrior Poets, Felt Soul Media, ESPN, Reel Thing and Apple.